If Great Britain could appoint a body part to be its national beauty mascot, I think most would agree that Cara Delevingne's eyebrows would be the appropriate choice. Those full, feathered arches have single-handedly launched a new generation of brow trends and products. So whenever their owner reveals what she uses to keep them looking iconic, we are all ears. Recently, Delevingne and her brows became even more powerful (and even more British) by pairing up with drugstore beauty giant Rimmel London. Refinery29 recently spoke with Delevingne in celebration of the new partnership, and over the course of their conversation, the model-actress revealed that her "desert island" beauty product is a $4 brow gel. "These brows have got to keep tame," she said. "So I have to use my brow gel, Brow This Way." 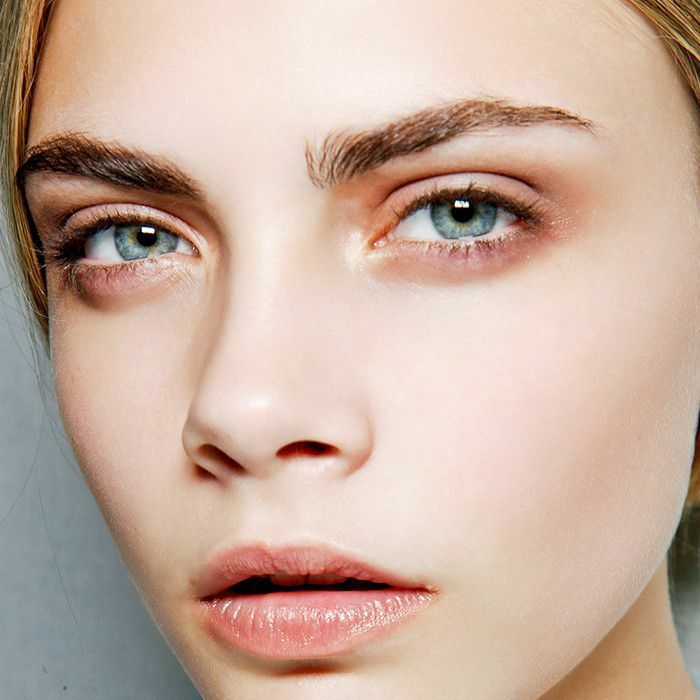 Keep scrolling to learn how to get Cara Delevingne's eyebrows at the drugstore (plus three other cheap brow products we love)! Delevingne's affordable brow gel comes in three universally flattering shades (medium brown, dark brown, and clear), all of which work to groom unruly brows for a natural, feathered finish. 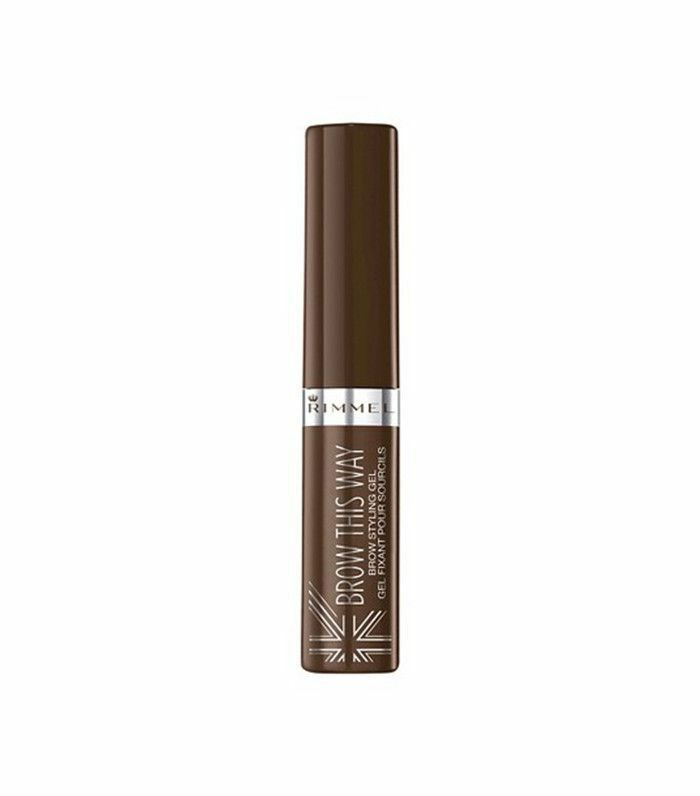 This product works best to enhance and tame brows that are already full, so if you're working with sparser brows, keep scrolling for a few other great drugstore options! 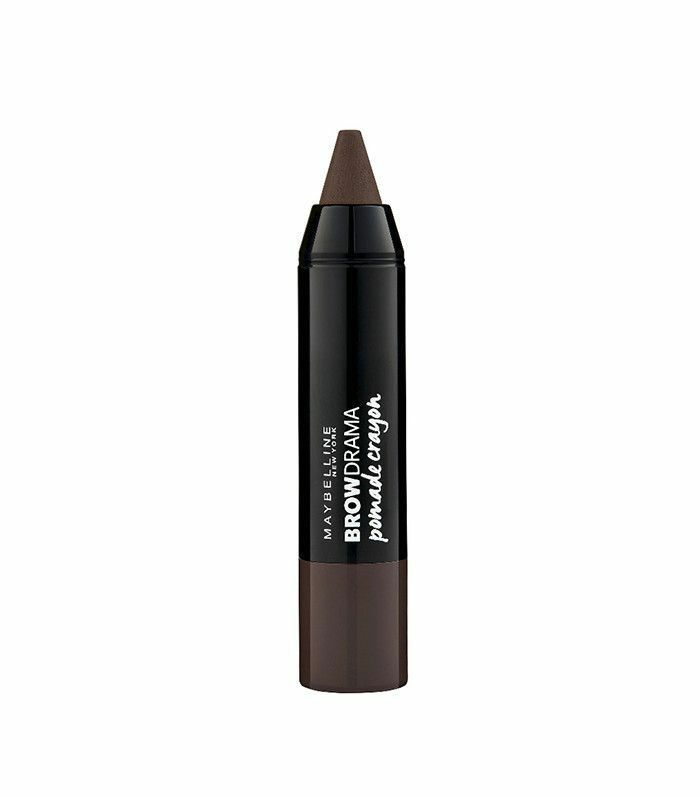 For a high-impact brow, consider this nicely pigmented pomade, which offers super long-lasting results. We recommend applying the product with E.l.f. 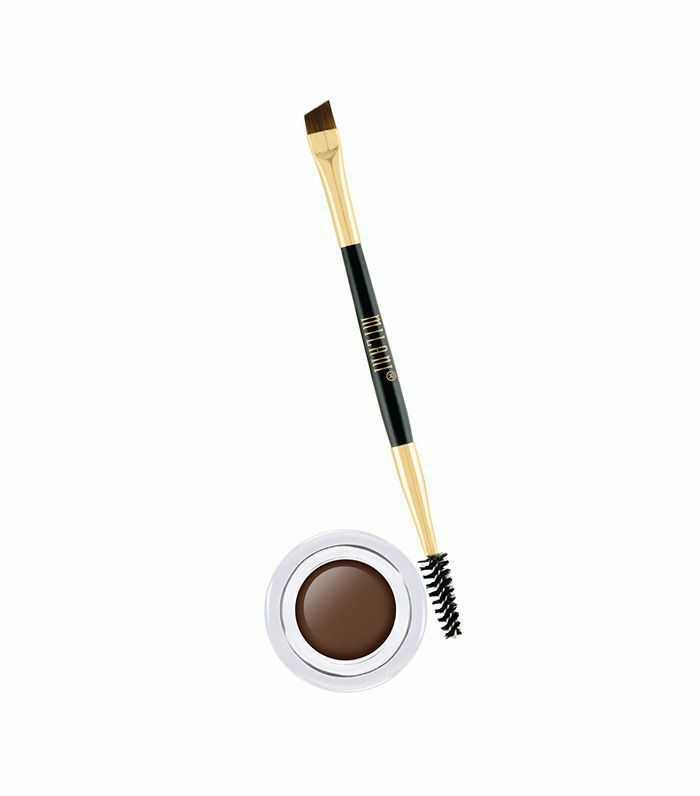 Eyebrow Duo Brush ($3), which has slightly more flexible, user-friendly bristles. This highly reviewed Nyx brow powder works great if you have sparse brow hairs that you'd like to fill in naturally. The silky product will cling to the hairs you do have while seamlessly filling any gaps. Gigi Hadid uses this pencil-powder hybrid, as does Byrdie senior editor, Hallie (who has some of the best brows on Earth), and if that doesn't sell you, I don't know what will. The product has a waxy (but not too waxy) texture and goes on smooth for a polished, full-brow look. What's your favorite drugstore brow product? Tell us your recommendations in the comments below!